Among these nine new (or newly upgraded) trail-running shoes, there’s a “perfect match” for anyone. Finding the right pair of trail-running shoes is like finding love: when you know, you know. But the search can be disheartening. You’ve tried out a few pairs yourself. You’ve asked friends for recommendations. After a while, you’ve begun to doubt whether you’ll ever find a perfect fit. This fall, there are a handful of new trail-running shoes that are sure to give many runners that “a-ha” moment—whether you’re looking for a shoe that hits a sweet spot between minimalism and maximalism, or simply one that tempers the right amount of cushion and protection in a lightweight package. 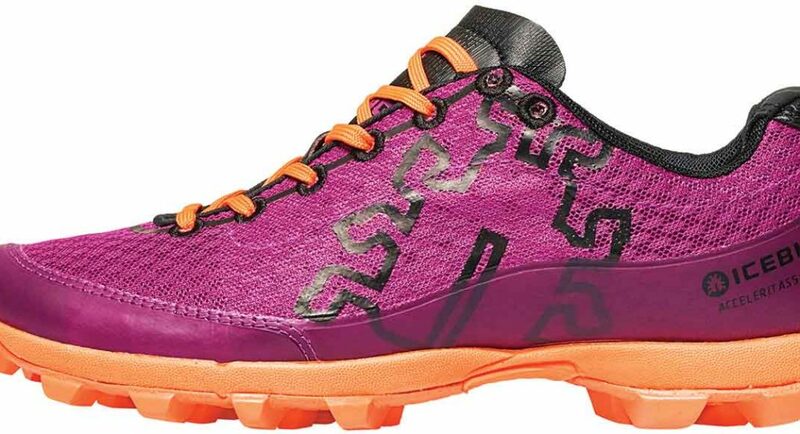 The Speedgoat 2 is an altogether different shoe from its first-generation predecessor, and one perfectly befitting its name: equal parts lightweight and rugged. The shoe has been updated with a wider last and toebox, Vibram Megagrip outsole and double-layer mesh upper that is at once breathable and protective. Compared with the Challenger ATR 3, the Speedgoat 2 features a slightly higher stack (max of 32mm, as opposed to 29mm in the Challengers) and an overall softer midsole. Yet, thanks to the wider outsole, the shoe has a more stable feel. Don’t confuse stability with bulk, though. This is a fast shoe, one that shines equally on long, slow runs and short, speedy ones. The outsole is superb on everything from slop to rocks, and the effective mid-foot overlays keep your foot feeling nimble on technical terrain. 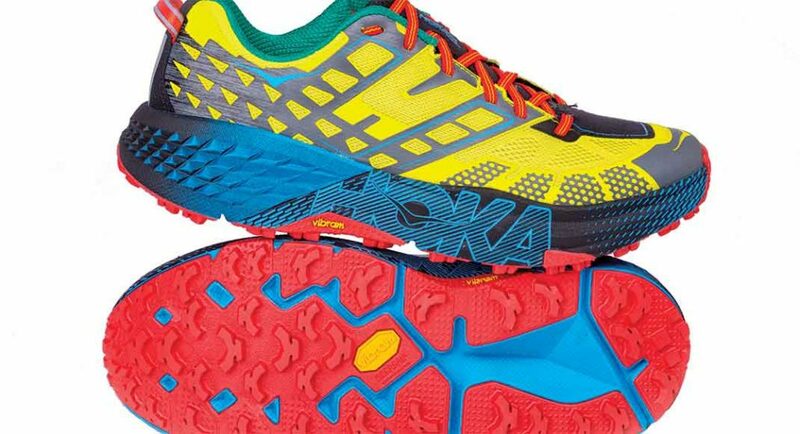 Fit: True to size, with a wider last than other current HOKA models, like the Challenger and the Mafate. 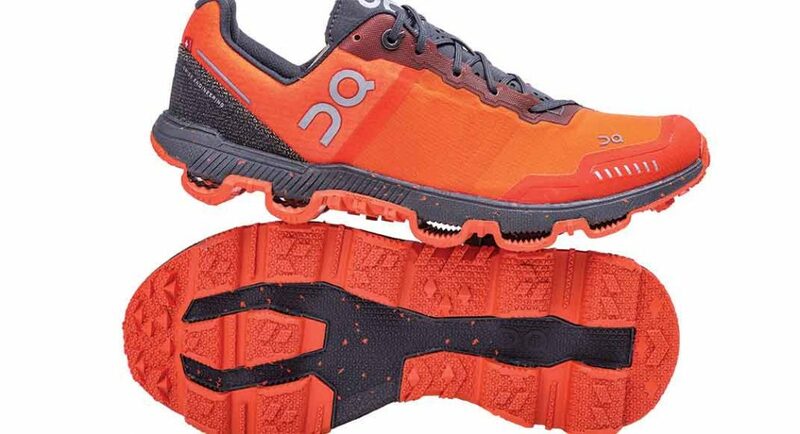 Bottom Line: This is a one-quiver shoe, for an all-out 10K or a 100-miler. The TrailRoc 285 shines on rocky, technical terrain. 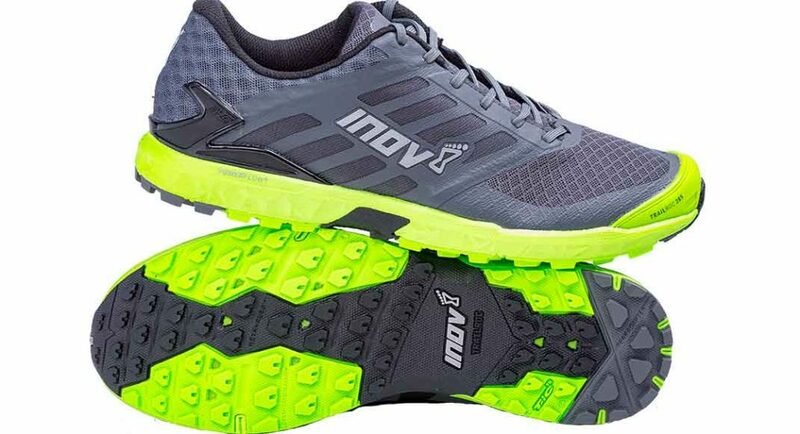 Compared with other models in the Inov-8 line, the TrailRoc 285 is slightly wider, particularly in the toebox. The flexible, low-profile midsole allows for a high degree of ground feel, while sticky medium-depth lugs—and a mid-foot rock plate—provide stability and confidence on hardpacked surfaces. Aside from the shoe’s supreme performance on rock, testers were most impressed with the lightweight, breathable upper, which is strategically padded in the tongue and heel, but remains airy and quick-drying, thanks to sections of exposed mesh in the toe and along the sides of the midfoot. A hardy toe bumper offers protection without compromising forefoot breathability. Fit: Some testers felt the RocLite 285 fit true to size. Others felt it to be a half-size small. 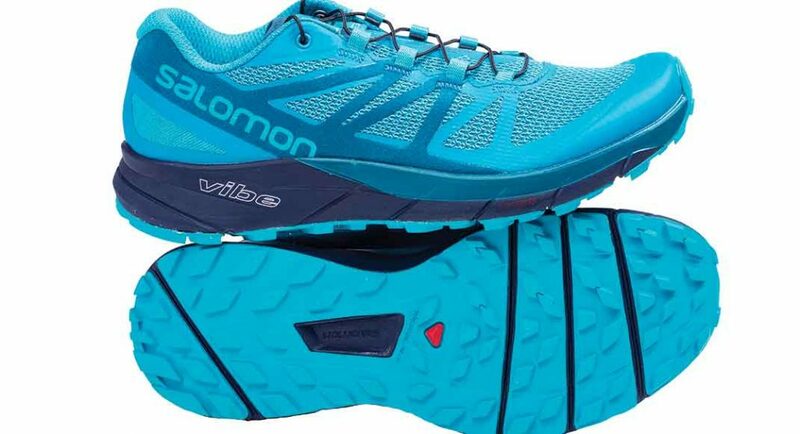 Like Goldilocks’ three bowls of porridge, Salomon has found a shoe that is the best of two worlds: not too much cushion, not too little, but, as one tester noted, “just the right amount.” With a max stack of 27mm, the Sense Ride is just enough shoe to keep you protected and comfortable, a nice middle-ground to the less-cushioned Sense Pro and the highly cushioned Sense Pro Max. The midsole is relatively soft and flexible, with a rock plate that provides plenty of protection. An upper of single-layer, breathable, durable mesh and strategic—not overbearing—midfoot overlays keep this shoe feeling light and nimble. The outsole is really where this shoe shines. Though low-profile, the lugs are sticky, which makes for a confident ride on rocky, technical terrain. 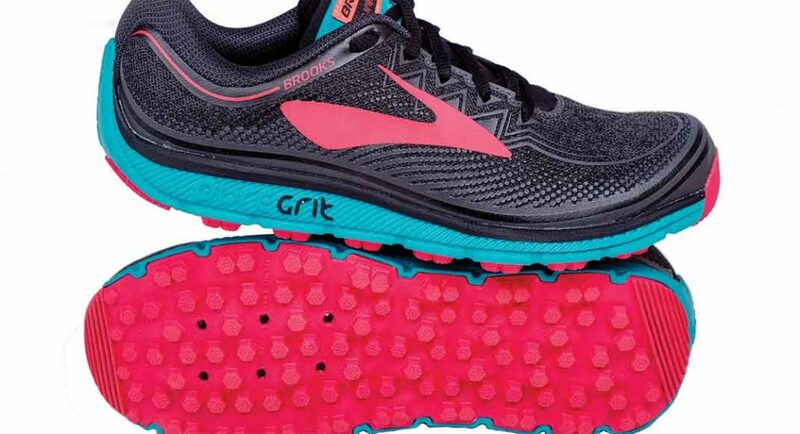 Bottom line: Runners who like minimalist shoes will find this a suitable option for ultra distances. Runners who like maximalist shoes will like this shoe for mid-distance or short runs. There’s something here for every type of runner. Fit: True to size. Some testers found that it was shaped on the long, though this did not affect fit. The Alpine Pro is a burly mountain runner, with cushion and protection for the long haul. However, burly doesn’t necessarily mean clunky: the shoe is nicely rockered, stiff in the back yet soft and flexible up front. This effect comes, presumably, from the dual-density EVA midsole, which features a denser compound in the heel and a softer one in the forefoot. The end result: a responsive ride that maintains ground feel through the toes. The midsole is also equipped with a rock plate. The outsole is moderately lugged and sticky. Testers loved it on everything from rock to pea-sized gravel and Pacific-Northwest mud. While the stable, smooth ride was what testers loved about this shoe, the upper is what stands out most at first glance. It features heavy midfoot overlays and a patch of tight mesh that covers most of the laces, doubling as a lace keeper and debris guard. Some testers noted that the shoe took a long time to dry out after getting wet. Fit: Runs a half size to full size small. Bottom line: A great all-arounder for people who like a well-cushioned shoe with a traditional drop that is stiff—but not too stiff. The Cloudventure Peak is a stripped-down, lightweight version of On’s first trail-running shoe, the Cloudventure. The barely there midsole is stiff and highly responsive, with a noticeably smooth transition through the gait cycle, while the CloudTec outsole—a series of raised pods that bulge away from the body of the shoe to absorb impact—help offset the lack of midsole cushion. The pods are textured with triangular and rectangular lugs, which testers said gripped surprisingly well on loose, slick and hardpacked surfaces. The main differences between the Cloudventure Peak and the Cloudventure are in the outsole (a denser outsole rubber is located only around the edge of the shoe and at the toe and heel) and the upper, which is a thin, lightweight, stretchy material, much like what you might find on a soft-shell jacket. Testers praised the shoe’s moccasin fit and perforated, wraparound tongue. Bottom line: This is a minimally cushioned and minimally protective shoe, ideal for short-and-fast runs, though runners with more conditioned feet may feel comfortable taking it out for longer missions. On the spectrum of trail shoes, the Ortega hits a middle ground. It is adequately cushioned, but not maximally so; stiff—but not so stiff as to be unforgiving; protective and supportive, but not heavy. 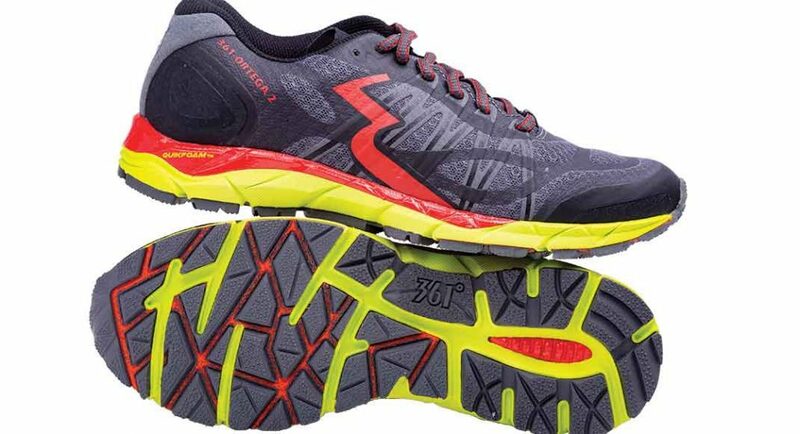 Several testers compared its narrow fit, agile feel and stiff, low-to-the-ground midsole to a racing flat. All were surprised at how much traction the wide, shallow lugs offered. Though the outsole is, as one tester described, “mild-mannered,” it affords confidence on all types of dry, hardpacked and rocky terrain. The lugs’ low profile meant that they also transitioned comfortably to road and gravel paths. Aside from traction, the shoe’s biggest appeal is its out-of-box comfort, thanks to ample cushioning around the ankle and Achilles and on the tongue. The thick padding—combined with a water resistant upper—makes for a dry, protected ride in stormy or cold conditions, but does not drain or breathe well. Fit: Narrow, but true to size. Bottom line: This is a versatile all-arounder that excels on dry, hardpacked surfaces but suffices in all but the most sloppy, technical conditions. 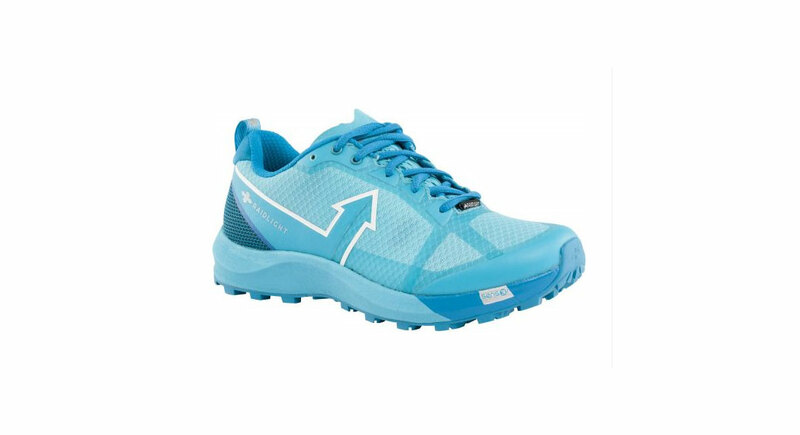 Runners who like uncompromised ground feel but also want a lot of cushion will gravitate towards the Altra Timp. This new model has a stack height of 29mm, placing it between Altra’s Lone Peak and Olympus models. Without a rock plate, though, it feels like less “shoe” underfoot (and, consequently, more ground feel) than both of those models. 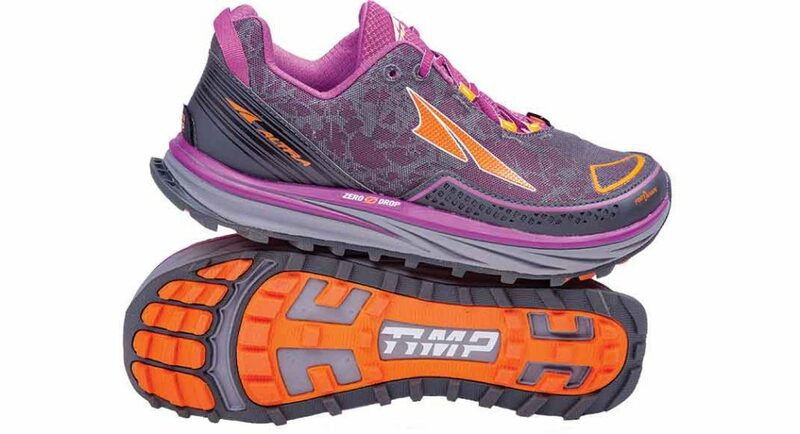 The Timp is one of the widest shoes in the Altra line, but, thanks to a beveled outsole, which tapers at its junction with the upper, the shoe is remarkably stable—more so than most other Altra shoes—with a no-slip fit that is snug in the heel and roomy in the toebox. The outsole is nearly identical to that of the Superior, and several testers remarked that the beefy lugs provided plenty of protection in the absence of a rock plate. Fit: Wide for an Altra, but true to size. 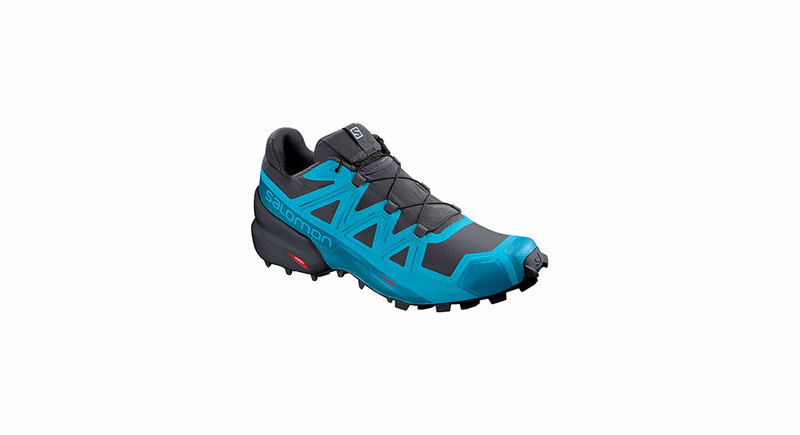 Bottom line: A middle-cushion, long-distance trail shoe that provides both ground feel and protection. The Pure Grit 6 is, perhaps, the sleekest of all its predecessors. The shoe retains the same flexible, moderately cushioned midsole that toes a healthy balance between decent energy return and decent ground feel. The outsole features the same hexagonal lug pattern, which provides reliable grip in all conditions. The biggest change is in the upper, which is now made of a more tightly woven mesh, and overlaid with a series of flexible rubber dots, rather than the thicker overlay that was used to provide structure and support on previous generations of the Pure Grit. The result is a more comfortable, breathable, sock-like fit. Bottom line: This is a good shoe for people looking to transition to minimalism, or minimalists looking for something with a bit more cushion and protection. Good in all conditions and terrain. The Acceleritas 5 is all about maximal tread and minimal everything else. With no rock plate and a virtually nonexistent midsole, this shoe is the lightest, and perhaps also the most aggressive, that we tested. It fits narrow—what some testers called a performance fit and other, wide-footed testers called too tight—and is extremely flexible. The upper is thin and breathable, with no supportive overlays (though a strip of thin rubber at the base offers some water protection and added durability), which means it drains quickly. The shoe’s biggest selling point is its tread. The deep, tapered, rectangular lugs reminded several testers of cleats. They perform exceptionally on snow, mud and steep, grassy slopes and the lack of midsole cushioning provides good ground feel. Fit: About a half-size small, and narrow. 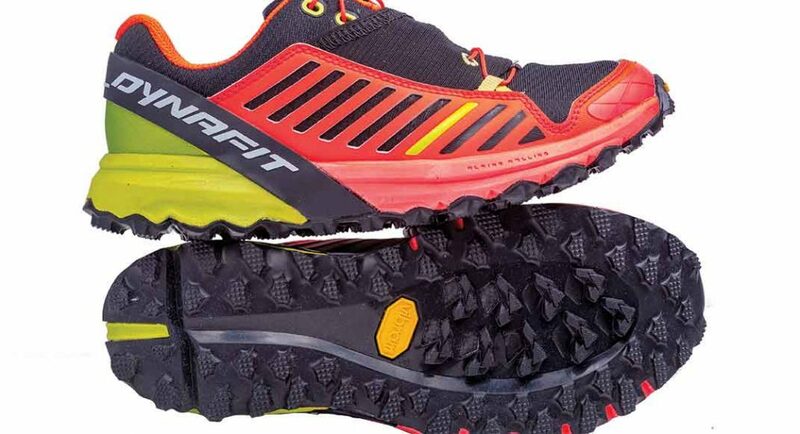 Bottom line: This is a specialized shoe, ideal on snow, mud and steeps.